With this plugin you can display a set of pictures and information in different layouts. 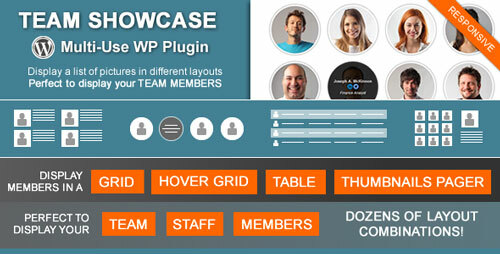 The main purpose of the plugin is to display team/staff members, but it can be used for other purposes. It’s perfect to display the members of your staff, team or working force, even divided by categories or groups! You can also use it to display testimonials or other kinds of content that require an image and text!